You will need to register on your first visit. Please bring a form of ID providing proof of your permanent address. You will also be asked to fill in a registration form. If you like, you can complete the form in advance by downloading it here and bringing it with you on your visit. 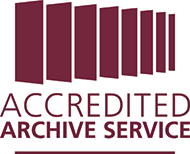 Tower Hamlets Local History Library & Archives were awarded Accreditation in March 2018.